On Saturday I had the privilege of attending the first annual Kids Read: A Book Festival in Poughkeepsie, New York, with 35 plus authors and illustrators. It was DY-NO-MITE! A VERY HUGE THANK YOU to John Torres, head of Youth Services for the Poughkeepsie Public Library District, Friends of the Poughkeepsie Public Library District, Our Lady of Lourdes High School, Dutchess County, Dutchess Reads, Merritt Bookstore, and to the amazing staff and volunteers for bringing this incredible day to fruition. Can’t wait for next year’s festival! I spent an incredible weekend at ALA’s Midwinter Conference and Exhibits in Boston. Where else in the world can you find this many people who eat, breathe and sleep books? In a nutshell, it was AWESOME! I had a wonderful time meeting and catching up with so many dedicated librarians, teachers, editors, writers, and illustrators. One highlight for me was meeting Lisa Von Drasek, curator of the Children’s Literature Research Collections at the University of Minnesota. 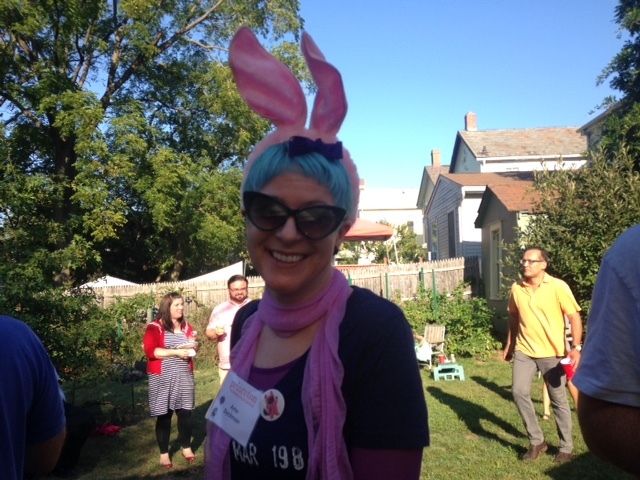 She included The Case of the Missing Carrot Cake on her “best children’s books to give this year” list and in her discussion on MPR. Here’s the link. Congratulations to all the ALA Youth Medal Award winners! It’s been an incredible year for children’s literature. And it’s so exciting to be a small part of it. I’m looking forward to another amazing year of kid-lit. 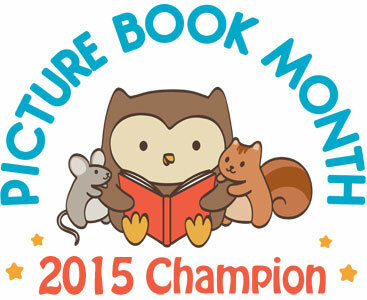 Happy reading, writing, and illustrating! It was a wonderful year of firsts for KidLit TV. Founded by Julie Gribble, KidLit TV is the first multimedia website created to aid parents and educators explore the world of children’s literature. It received its first big award, the Parents’ Choice Gold Award, and it is currently in the process of launching KidLit RADIO. 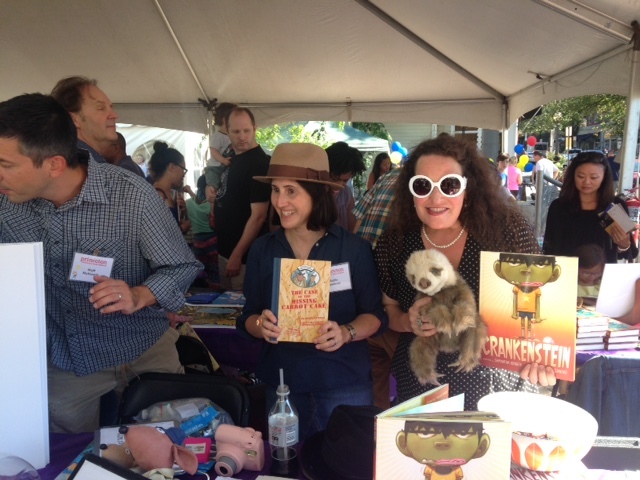 Authors, illustrators and fans of all ages came out in droves to celebrate KidLit TV’s BIG ONE. Happy Birthday, KidLit TV! I suspect that the BIG TWO is going to be even bigger and better. Thank You Princeton Children’s Book Festival! Dreams do come true. I have been a HUGE fan of the Princeton Children’s Book Festival for as long as I can remember, and have always dreamed of participating as an author. Yesterday that amazing, incredible, you-take-my-breath away, someone-is-going-to-have-to-pinch-me dream came true. 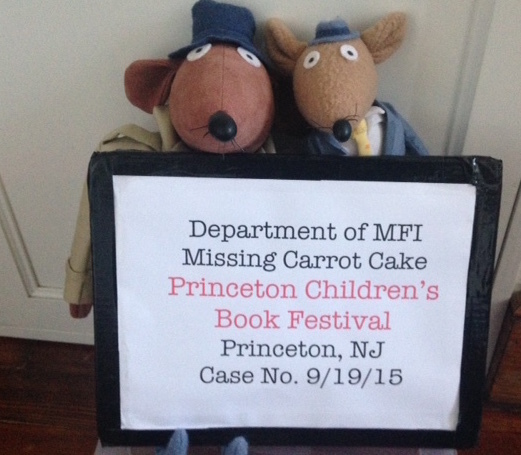 My dauntless detectives, Wilcox and Griswold, from The Case of the Missing Carrot Cake, were on the job. They had taped off the crime scene area under the purple tent at table #4 and had taken a GAZILLION mug shots of potential suspects identified as avid readers. The day flew by faster than I can say “Publishing Contract” 500 times, and aside from mug shots, I had few opportunities to take photos. But I was extremely fortunate to have been table “roomies” with the great Matt Myklusch and Samantha Berger. 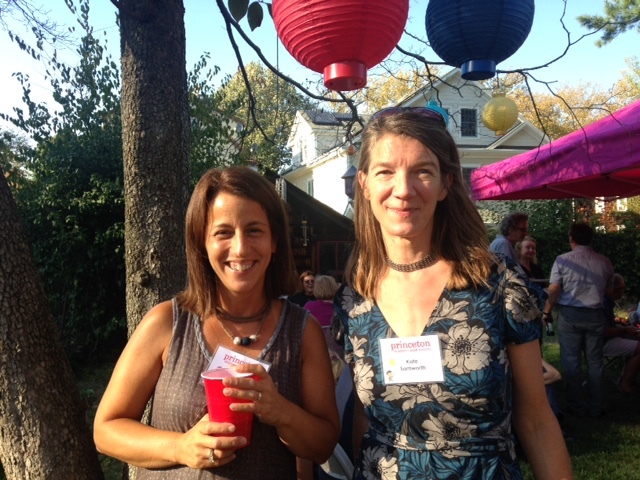 I only had a brief chance to catch up with the amazing Ame Dyckman, Audrey Vernick, Kate Samworth, Beth Ferry, Monica Wellington, Kristine Lombardi, Emily Christie Burack, and my old school friend, Nick Bruel. 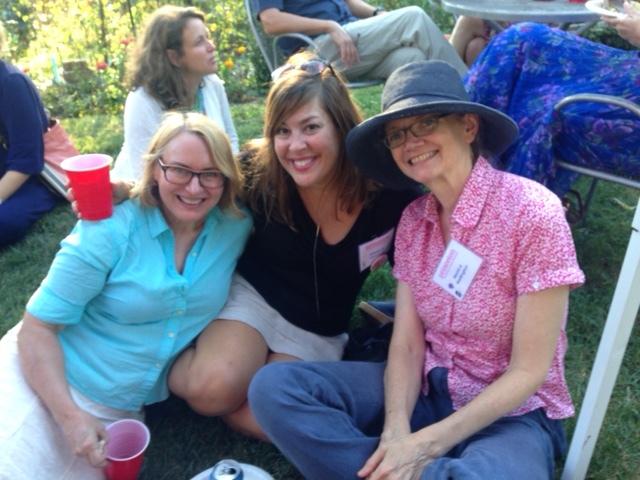 The festivities ended with a wonderful picnic at the home of Joanne and Deanne, the booksellers for this incredible event. 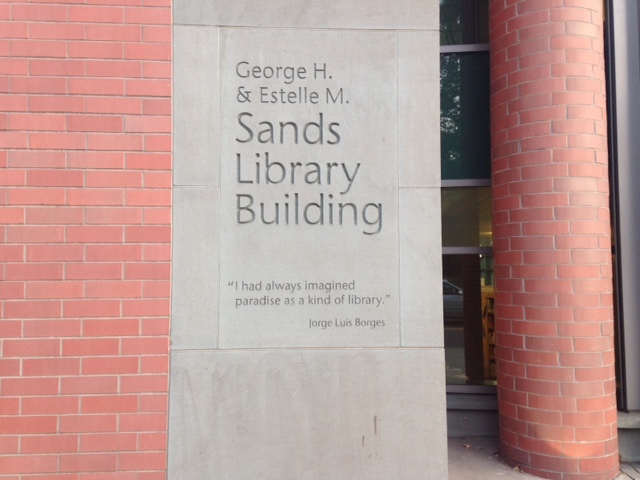 On my way back to the garage, I paused one last time to take a look at the Princeton Public Library when I noticed a quote from Jorge Luis Borges. During my junior year abroad I spent an entire year (yes, you read correctly!) studying Borges. At the time I very much had a love-hate relationship with him for challenging me as a reader, writer, and student. He kept me up at 3:00 am with three different dictionaries (French-Spanish, Spanish-English, and French-English), and my notes reflected the madness of his textual labyrinths. Anyway, it seemed very fitting that the last words that I saw on my way out were his. 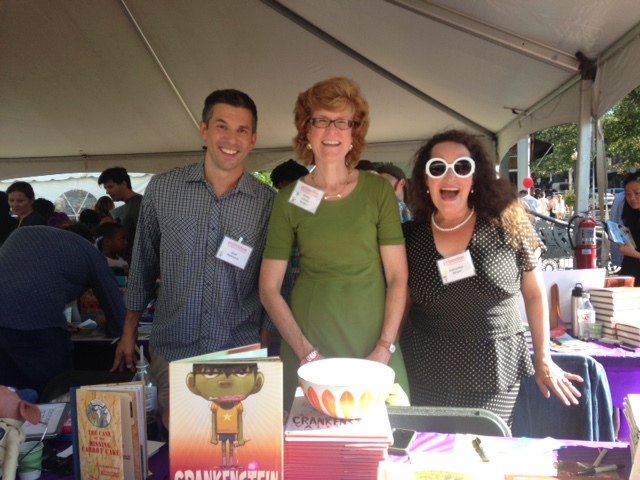 Thank you Allison Santos and the amazing team at the Princeton Children’s Book Festival. I am certain that you all must have super powers for putting this incredible event together. I cannot wait until next year’s festival. p.s. Mr. Borges, I think you’re right. Paradise has to be a library. What else could it be?